While fixing an interim maintenance court has to take a prima facie view of the matter and need not to critically examine the respective claims of the parties regarding their respective incomes and assets because for deciding the same the evidence would be required. But, at the same time, an aggrieved person cannot be rendered to lead a life of a destitute till completion of trial. It is also pertinent to note that as per the dictionary meaning of the word 'maintenance', it includes all such means of living as would enable one to live in the degree of comfort, suitable and becoming to his situation of life. It is said to include anything requisite to housing, feeding, clothing, health, proper recreation, vacation, traveling expenses or other proper cognate purposes. "No set formula can be laid for fixing the amount of maintenance. It has, in the very nature of things, to depend on the facts and circumstances of each case. Some scope for leverage can, however, be always there. The court has to consider the status of the parties, their respective needs, the capacity of the husband to pay having regard to his reasonable expenses for his own maintenance and of those he is obliged under the law and statutory but involuntary payments or deductions. The amount of maintenance fixed for the wife should be such as she can live in reasonable comfort considering her status and the mode of life she was used to when she lived with her husband and also that she does not feel handicapped in the prosecution of her case. At the same time, the amount so fixed cannot be excessive or extortionate." "In other words the court must first arrive at the net disposable income of the Husband or the dominant earning spouse. If the other spouse is also working these earnings must be kept in mind. This would constitute the Family Resource Cake which would then be cut up and distributed amongst the members of the family. The apportionment of the cake must be in consonance with the financial requirements of the family members, which is exactly what happens when the spouses are one homogeneous unit. Ms. Geeta Luthra, learned counsel for the Respondent had fervently contended that normally 1/5th of the disposable income is allowed to the Wife. She has not shown any authority or precedent for this proposition and the only source or foundation for it may be traceable to Section 36 of the Indian Divorce Act, 1869. This archaic statute mercifully does not apply to the parties before the Court, and is a vestige of a bygone era where the wife/woman was considered inferior to the husband as somewhat akin to his chattels. 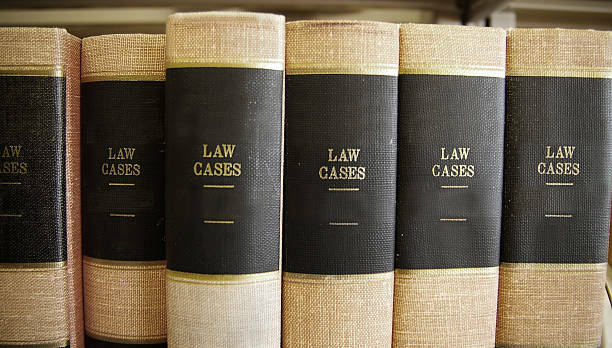 The law has advanced appreciably, and for the better. In the face of Legislatures reluctant to bring about any change over fifty years ago the Courts held that the deserted wife was entitled to an equal division of matrimonial assets. I would be extremely loath to restrict maintenance to 1/5th of the Husband's income where this would be insufficient for the Wife to live in a manner commensurative with her Husband's status or similar to the lifestyle enjoyed by her before the marital severance. In my view, a satisfactory approach would be to divide the Family Resource Cake in two portions to the Husband since he has to incur extra expenses in the course of making his earning, and one share each to other members." 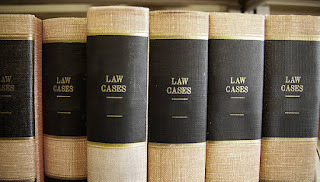 It is settled principle of law that both the parties have a legal, moral and social duty to provide their child with the best of education and standard of living within their means and mere fact that spouse with whom the child is living is having a source of income, even if sufficient, would in no way absolve the other spouse of his obligation to make his contribution towards maintenance and welfare of child. Both the parents are liable to contribute for the child in proportion to their respective incomes. It is not that only a woman who is on verge of starvation and destitution, is entitled to interim maintenance. The amount of maintenance should be such that the wife is able to live in 'reasonable comfort' considering her status and life style, she had been enjoying while living with her husband. Though, the onus to prove husband's financial status is on the wife but it becomes difficult for estranged wife to furnish proof, especially in informal economy and a lot of women do not know anything about their husband's income or property because it is considered in bad form and in said circumstances, it boils down to what the husband himself discloses his income to be and deprives the women to his lawful right to get maintenance commensurating to the standard and status of living enjoyed by her husband. The bias that woman should be happy with whatever she gets, rather than what is her right, still continues to plague our society. In view of the judgment of Hon'ble Delhi High Court in Nayanika Thakur Mehta vs. Mohit Mheta & Ors., 2017 (2) JCC 1213, even an earning wife is entitled to claim maintenance from her husband if the difference of income is huge.